Cctvylle | CCTVYLLE – the monograph is out! 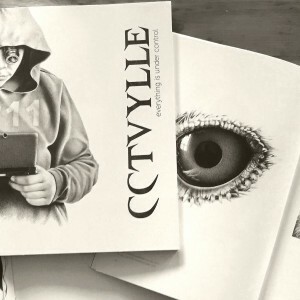 CCTVYLLE – the monograph is out! We have made it! We are delighted to announce the publication of a catalogue showcasing the entire body of work created for CCTVYLLE project in the past few years. Divided in sections the monograph also features never published before art works an sketches. The book includes a preface by the founder of the project Gianluca Bonomo and text written by art critique and curator Cristina Palmieri, Giulia Mastrantoni, Pierluigi Porazzi and others. Support CCTVYLLE by buying a copy of this high quality printed monograph sponsored by MISOBI men’s wear (Japan) and others.